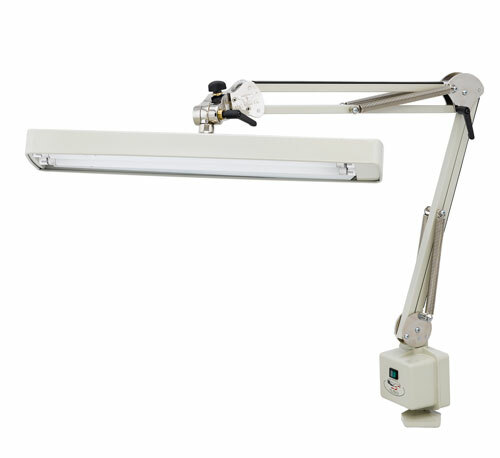 Twin Tube Draftsman Lamp provides even lighting over any work surface. The 18" Shade houses two fluorescent tubes, and its all metal construction guarantees years of use and abuse. NEW Glare Free "FULL SPECTRUM" Bulbs. Arm Reach of 37", with a Screw Down Base.